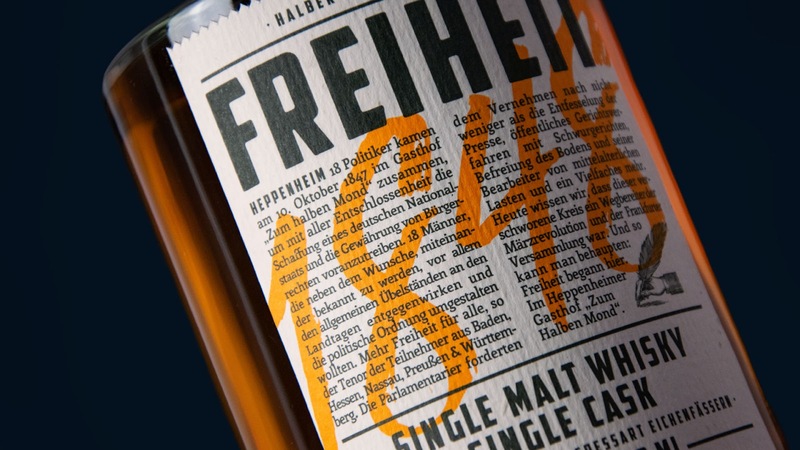 Excellent packaging always tells a story. 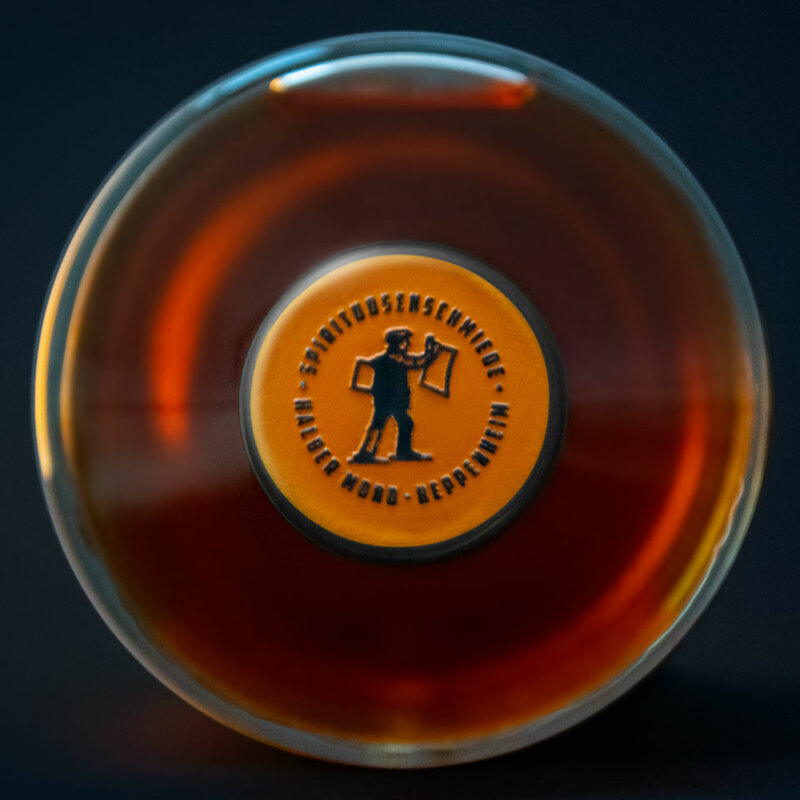 With our design for a superb single cask malt whisky, we fulfilled this requirement in a very special way, and even took the design process one step further. 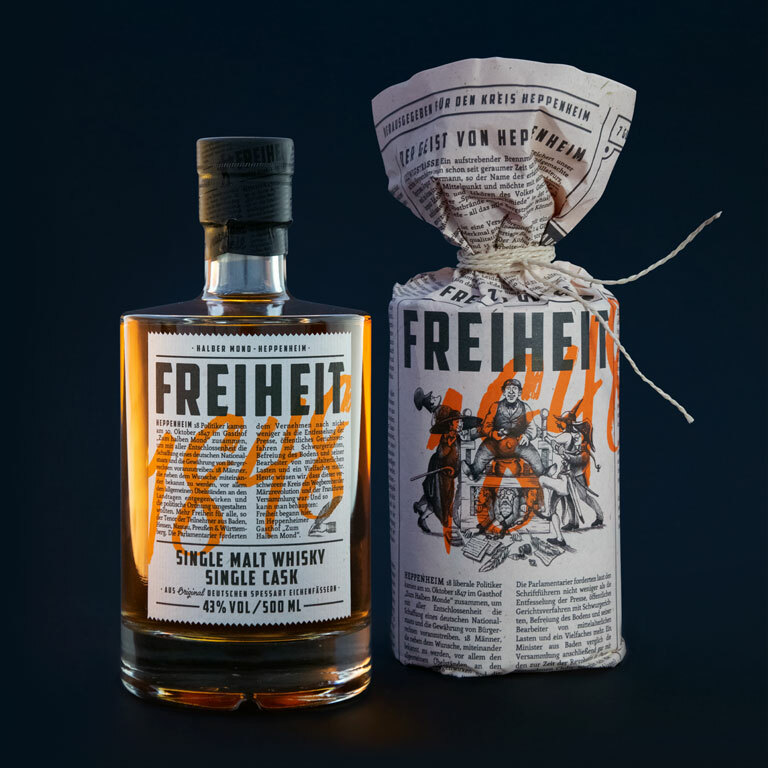 Because “Freiheit 1848”, a whisky with a name steeped in history, commemorates in “texts and pictures” all those who lost their lives in the fight for civil rights during the 1848 German Revolution. 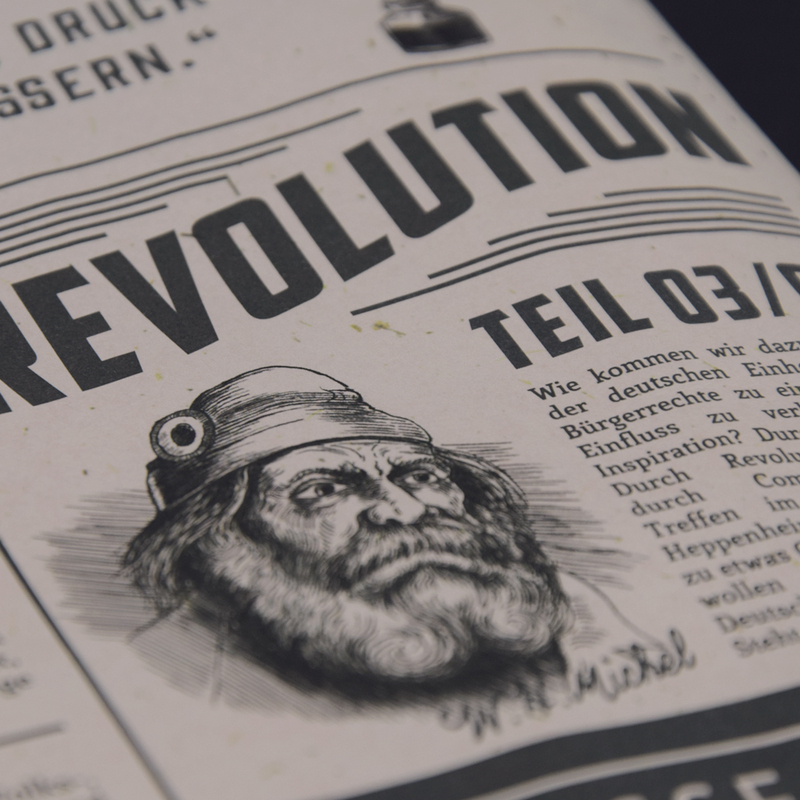 The revolution had its origins in the “Halber Mond” Guesthouse in Heppenheim - and went on to have a significant influence on the development of democracy in Germany. In 1847, 18 liberal politicians met up in this very guesthouse to agree on, among other things, unrestricted press freedom without conditions or reprimands of any form. 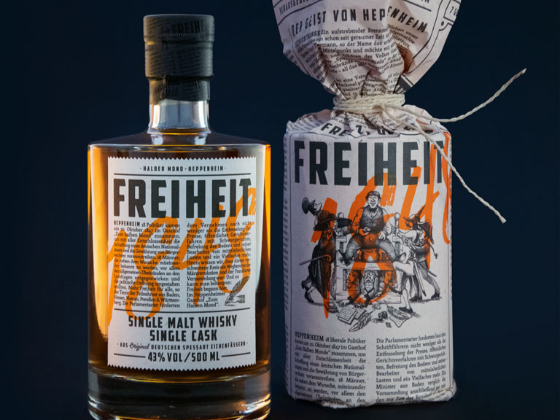 The location, where today the single malt whisky matures in original casks made of oak from the Spessart region, was the inspiration for the unconventional packaging: a newspaper entirely devised and designed by us. The outer packaging only appears to be a newspaper from the year 1848. 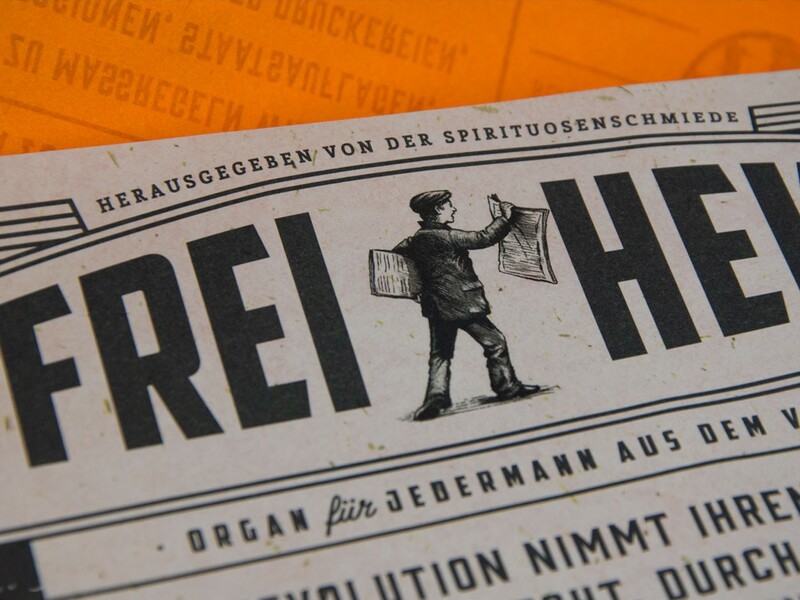 The vintage character in particular is evoked by the illustrations that we created ourselves, based on the style of early satirical cartoons, as well as by texts that use the language and the content of that era. However, the packaging doesn’t feel out of place today. Because firstly, we underline the brand’s heritage with a retro design that feels authentic. 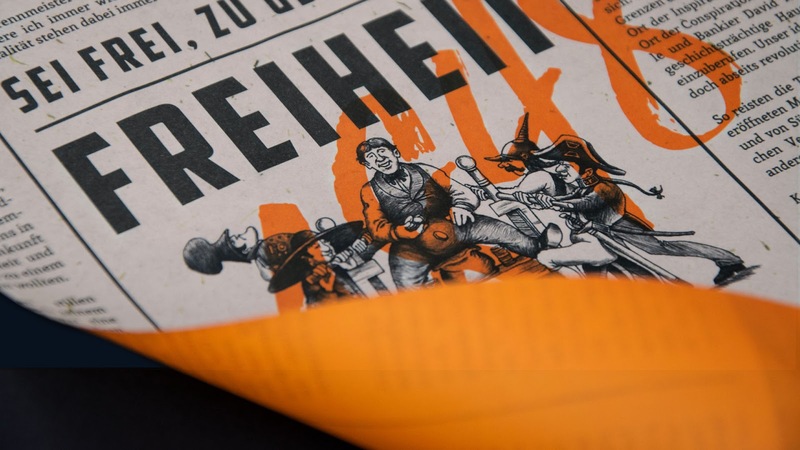 And secondly, the gaudy orange of our packaging makes it appear trendy and up-to-date.